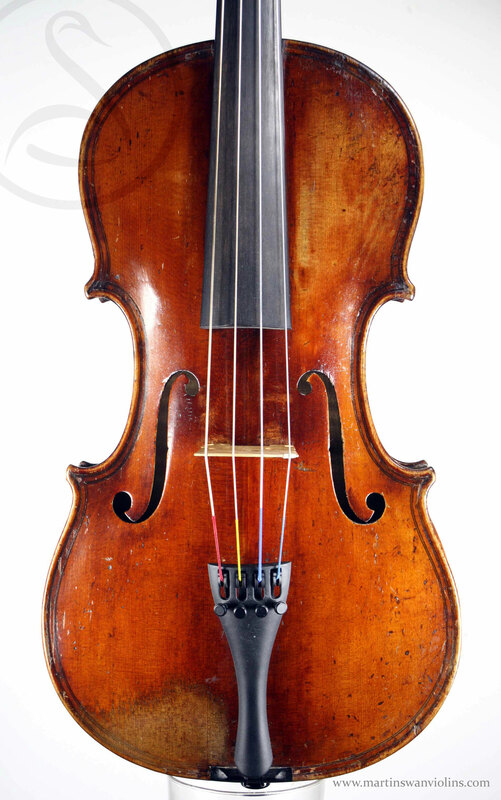 Probably by a member of the Prokop family, this is a late 19th century Czech viola made on a Maggini model. It’s in great condition apart form a few dents and scuffs to the varnish. A very handy size, it has a dark and fruity sound, slightly melancholic, very musical. 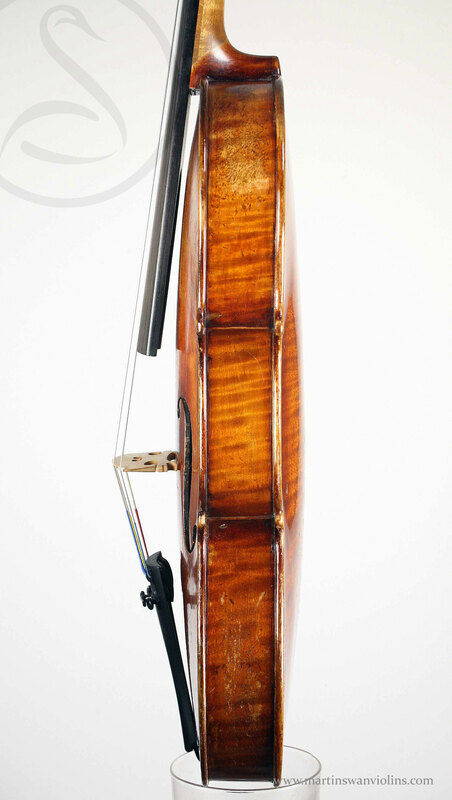 While remaining a bit more conventional in its arching than the bulbous violins made by Ladislav Prokop, this instrument nonetheless has the very characteristic back wood and varnish of that family. It’s a “Maggini” pattern instrument of the sort popular with the Mirecourt and German workshops, as well as a number of late 19th century Scottish makers. All of which have little to do with Maggini other than the double purfling. The condition is generally excellent – the varnish has some chips and scuffs, but it remains lustrous and very attractive. Edges and corners are well preserved. This instrument has a proper viola sound, and is immediately engaging, soft and rounded without sacrificing power. 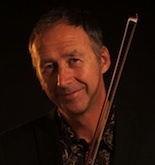 Many people who are looking for small violas are serious players who have had fine instruments that are just too much of a stretch. This instrument wouldn’t disappoint – it’s very consistent throughout the register, warm and pliant but with a good variety of tonal colour. All in all, an outstanding instrument for the price. 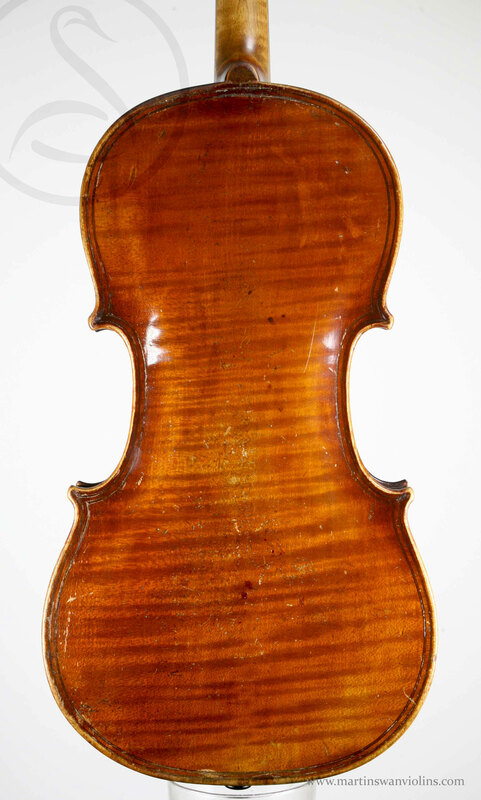 Are you interested in this Bohemian small viola?